Search for the best flight prices from Manchester to Southampton. Compare prices, book today and save money with Manchester Airport. 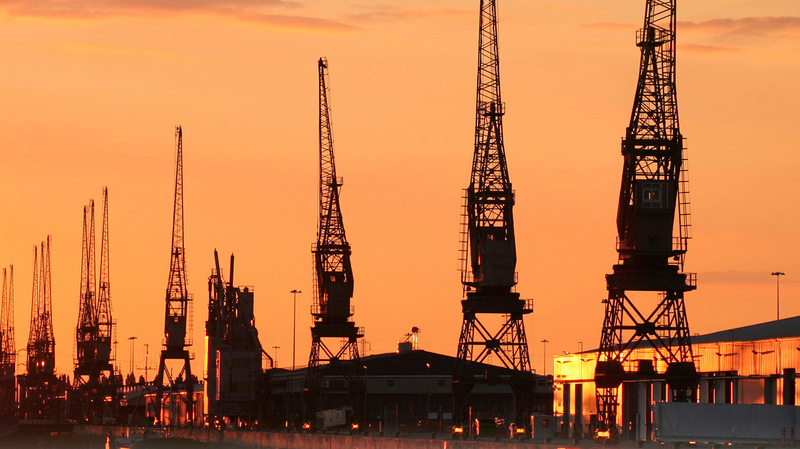 It’s the largest on the south coast – Southampton feels very much the regional capital. Once home to the RMS Titanic (549 Sotonians died when she sank), it’s now the UK’s principle point of embarkation for some of the world’s most luxurious liners. With rich history, magnificent sailing and the attractions of the Isle of Wight just a short ferry trip away, it’s the gateway to a region you’d happily get lost in. The south coast city of Southampton has a wide assortment of accommodation options, from sleek waterfront gems to tranquil retreats. For four-star luxury beside the water there’s glass-fronted Grand Harbour (West Quay Road), with a lovely spa, good dining options and ocean views. Cosy and boutique rooms can be found at Cargo (20-22 Oxford Street), while a comfortable and reliable two-star stay can be had at The Elizabeth House Hotel (42-44 The Avenue). Escape the city hubbub altogether at the Pilgrim Inn (Hythe Road), located 13km from Southampton centre. Quaint thatched buildings house this charming boutique hotel and restaurant. Southampton has established itself as one of the central south coast’s main shopping destinations. There are plenty of familiar shops to browse in The Marlands Shopping Centre (Civic Centre Road), and across Portland Terrace in the shiny West Quay Shopping Centre (Civic Centre Road), find a vast number of well-known brands. For foodie bites and eclectic stalls, see the Friday and Saturday markets by the Bargate Monument. West Quay Retail Park is home to large-scale stores for the likes of Argos, Halfords, Next Home and Mothercare, while Bedford Place, just north of the centre, and Oxford Street are scattered with independent boutiques. Ocean Village is a scenic place to enjoy a meal, with many restaurants overlooking the pristine harbour. Break up shopping trips to West Quay with its affordable range of dining options – think chain restaurants and cafés – while the White Star Travern (28 Oxford Street) is a popular pub and restaurant serving up ales, cocktails, light bites and pub classics. On the top floor of the Mayflower Theatre, Ovation Restaurant (Commercial Road) is a culinary treat for diners looking for something special. The menu is filled with recognisable favourites – T-bone steak, sea trout, pork belly – served to an excellent standard. See the skies fill with colourful kites and flying displays at this fun, family-friendly festival. As well as aerial spectacles, there’s entertainment such as a funfair, a kite-making workshop and craft stalls. This musical and cultural line-up from South Asia and beyond spans classical Indian, Bollywood, Asian Fusion, Bhangra and more. Learn how to play the steel pan in the Music Workshop Tent, get to grips with Bollywood and Bhangra dance in the Activity Tent, and get active in the Sports Zone. Scores of boating enthusiasts gather in Mayflower Park every September for one of the world’s largest boat shows. For 10 days, visitors ogle all manner of waterborne vessels, meet boat owners and boat builders, and get in the know about the latest boating gadgets. A free festival promoting music made and performed in and around Southampton. Live music performances take place across the city, including Holyrood Church, Guildhall Square, the City Art Gallery and Castle Vault. Spend a week immersed in a diverse range of cinematic creations at this eclectic film event.